Journal of Genetics (2013) Dec;92(3):695-701. Chamber Specific Gene Expression Landscape Of The Zebrafish Heart. Case Report: Whole exome sequencing helps in accurate molecular diagnosis in siblings with a rare co-occurrence of paternally inherited 22q12 duplication and autosomal recessive non-syndromic ichthyosis. Systematic Pharmacogenomics analysis of a Malay whole genome : Proof of concept for Personalised Medicine. PLoS ONE (2013) Aug 23;8(8):e71554. Bioinformatics (2015) Jan 1;31(1):1-9. Epub 2014 Sep 4. Genome Announc. (2014) Jan 30;2(1). pii: e01256-13..
Vellarikkal SK, Singh AV, Singh PK, Garg P, Katoch VM, Katoch K; Open Source Drug Discovery Consortium, Chauhan DS, Sivasubbu S, Scaria V.
Draft Genome Sequence of Multidrug-Resistant Mycobacterium tuberculosis Clinical Isolate OSDD515, Belonging to the Uganda I Genotype. Genome Announc. 2013 Nov 21;1(6). Draft Genome Sequence of a Multidrug-Resistant Clinical Isolate of Mycobacterium tuberculosis Belonging to a Novel Spoligotype. Vellarikkal SK, Vir Singh A, Kumar Singh P, Garg P, Mohan Katoch V, Katoch K; Open Source Drug Discovery Consortium, Chauhan DS, Scaria V, Sivasubbu S.
Draft Genome Sequence of an Extensively Drug-Resistant Mycobacterium tuberculosis Clinical Isolate of the Ural Strain OSDD493. BMC Bioinformatics (2013) 14 (1), 329. 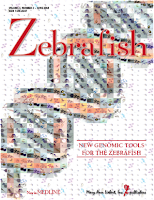 Genome Announcements (2013) Aug 1;1(4). pii: e00541-13. Vashisht R, Mondal AK, Jain A, Shah A, Vishnoi P, Priyadarshini P, Bhattacharyya K, Rohira H, Bhat AG, Passi A, Mukherjee K, Choudhary KS, Kumar V, Arora A, Munusamy P, Subramanian A, Venkatachalam A, S G, Raj S, Chitra V, Verma K, Zaheer S, J B, Gurusamy M, Razeeth M, Raja I, Thandapani M, Mevada V, Soni R, Rana S, Ramanna GM, Raghavan S, Subramanya SN, Kholia T, Patel R, Bhavnani V, Chiranjeevi L, Sengupta S, Singh PK, Atray N, Gandhi S, Avasthi TS, Nisthar S, Anurag M, Sharma P, Hasija Y, Dash D, Sharma A, Scaria V, Thomas Z; OSDD Consortium, Chandra N, Brahmachari SK, Bhardwaj A. Crowd Sourcing a New Paradigm for Interactome Driven Drug Target Identification in Mycobacterium tuberculosis. PLoS One. 2012;7(7):e39808. Epub 2012 Jul 11.